The 3M Littmann Lightweight II S.E. 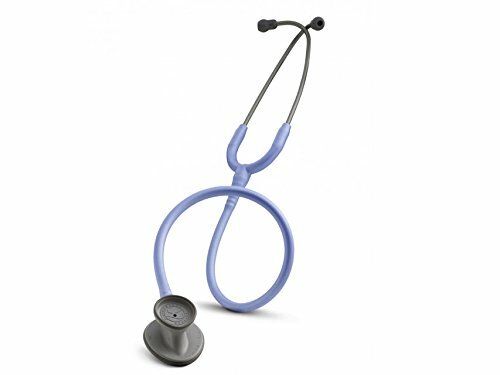 Stethoscope is an ideal entry-level instrument, with a tunable diaphragm, dual-sided chestpiece, and reliable acoustic performance. Its teardrop shape makes auscultation around blood pressure cuffs easier. The suggested use for the Littmann Lightweight II S.E. Stethoscope is as a diagnostic aid as part of the physical assessment of a patient. It is Ideally suited for certified nursing assistants, licensed practical nurses, EMT/EMS, licensed vocational nurses, medical assistants and nursing students. Diaphragm Diameter 5.4 cm, 5.4 mil The power to learn in the palm of your hand with our free educational app. Practice your auscultation skills anytime, anywhere with the 3M Littmann Learning Institute app, free with the purchase of a 3M Littmann Stethoscope. The app allows you to practice and improve your auscultations skills, which can result in better performance in school or your practice and provide better patient outcomes.With the app, you can: Develop diagnostic skills using patient scenarios Listen to real heart and lung sounds to recognize different conditions Track your progress Test your knowledge Unlock the full content of the app with the serial number found on the chestpiece of your Littmann stethoscope. Go to the iTunes App Store or Google Play to download the free app and start training today! The colors shown online are approximations. We have made every effort to show the best possible match to the color of the actual product. However, some variation is expected, due to differences in both lighting and monitor calibration. If you have any questions about this product by 3M Littmann, contact us by completing and submitting the form below. If you are looking for a specif part number, please include it with your message.